Tony is a Senior Advisor and a Founding Partner of our firm. He has over twenty years of experience in executive search, strategy consulting and venture finance focused on the technology industry. Tony has conducted CEO searches in the U.S., Japan, China, and Europe. 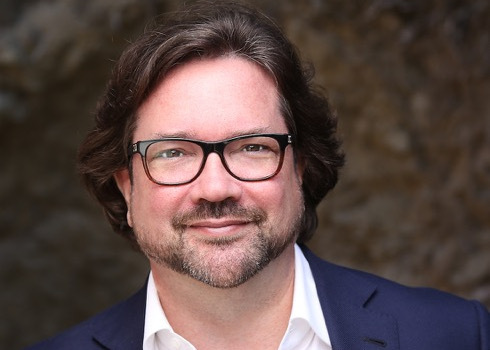 Prior to co-founding ChampionScott Partners and its predecessor firm, Tony was the Managing Director of the Global Technology Practice for A.T. Kearney Executive Search. Tony was the youngest partner and youngest practice leader at A.T. Kearney. He built the firm’s Tokyo Executive Search office and the firm’s entire Asian technology practice. The technology practice at A.T. Kearney delivered almost one third of the firms revenues. Concurrent with his work as an executive search professional at A.T. Kearney, Tony was one of the five founding partners and served as a board director for EDS Ventures, the corporate venture fund of A.T. Kearney Management Consulting and its parent EDS. He has been an active venture investor in numerous pre-IPO technology companies personally, and currently co-manages a venture investment group comprised of leading executives and consultants in Silicon Valley. Tony began his career as a strategy consultant with Price Waterhouse, and later was a corporate banking officer with First Chicago Corporation, specializing in serving technology companies at both firms. He began his career in executive search with Ray & Berndtson (another “Top 10” global executive search firm), where he was a Partner. Born in New Orleans, Tony has had a deep fascination with technology his entire life. He “reverse engineered” a perfectly fine working radio at age 6, and was finally able to solder it back together a year later. He was licensed as an amateur radio operator at 9, at which time he stopped destroying his parents’ radios and televisions and instead designed and built his own receivers, transmitters and antennas. He also assembled and programmed an Altair 8800 – one of the world’s first microprocessor based computers – the year it came out in 1975. Tony received his Bachelor’s degree in economics with honors from the University of Mississippi and his MBA from the Kellogg School of Management at Northwestern University, where he was a George S. May scholar. He has served on the board of directors or advisory board for several pre-IPO companies, and for Junior Achievement of Silicon Valley. In addition to English, he has basic conversational capabilities in Mandarin Chinese.